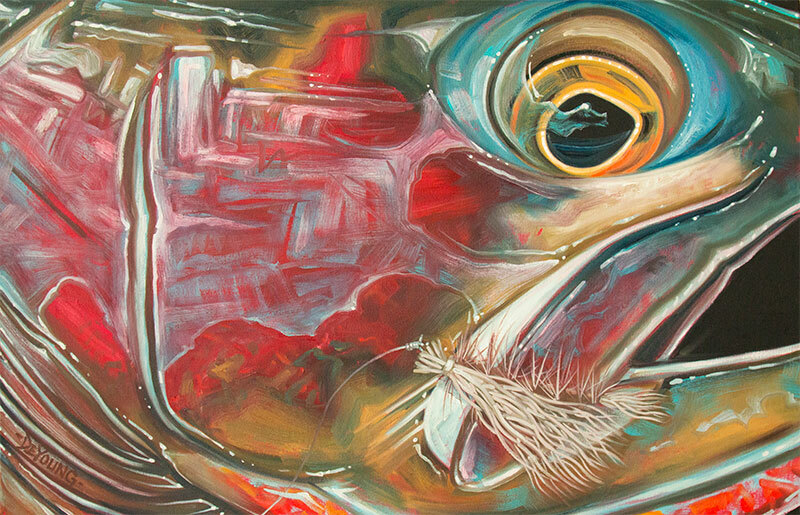 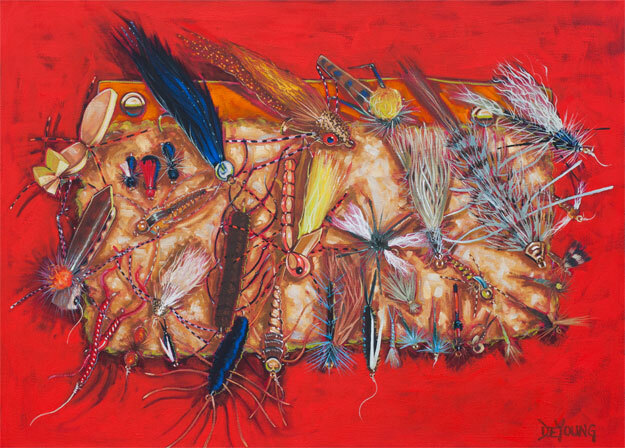 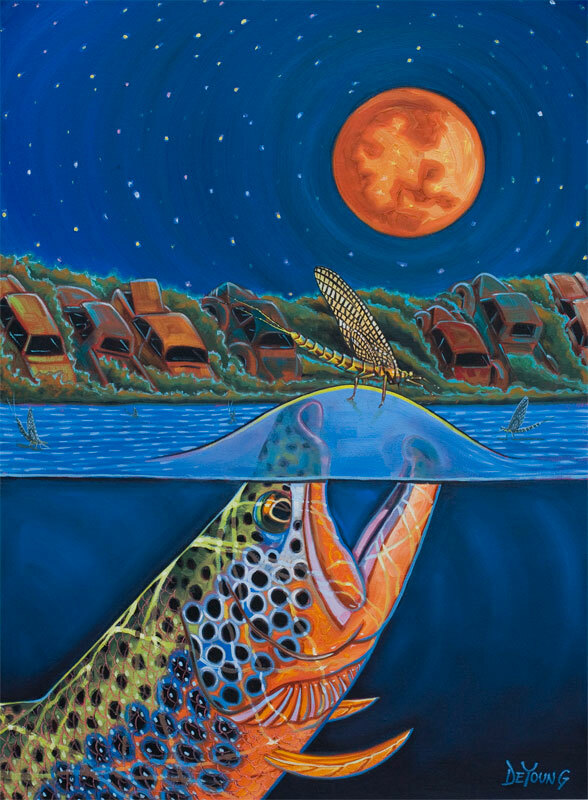 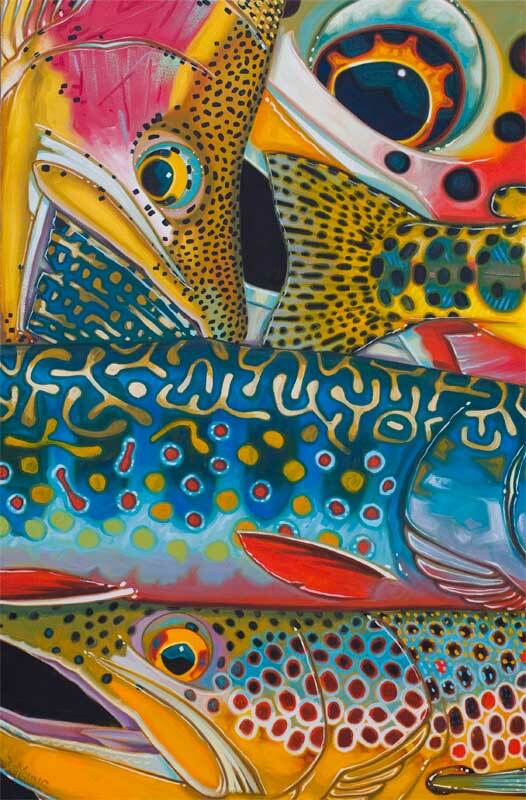 In his artwork, Derek DeYoung combines his two passions, painting and fishing. 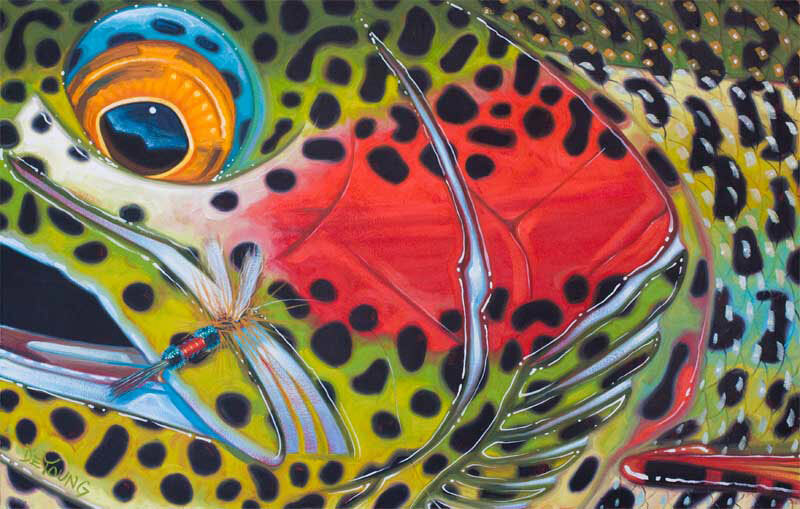 The result is a visual celebration of trout. 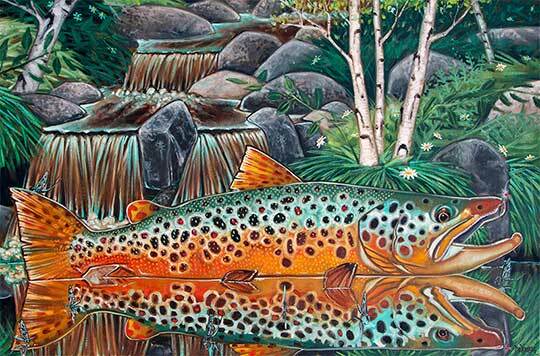 DeYoung is constantly pushing the limits by painting fish in beautiful and cutting edge ways. 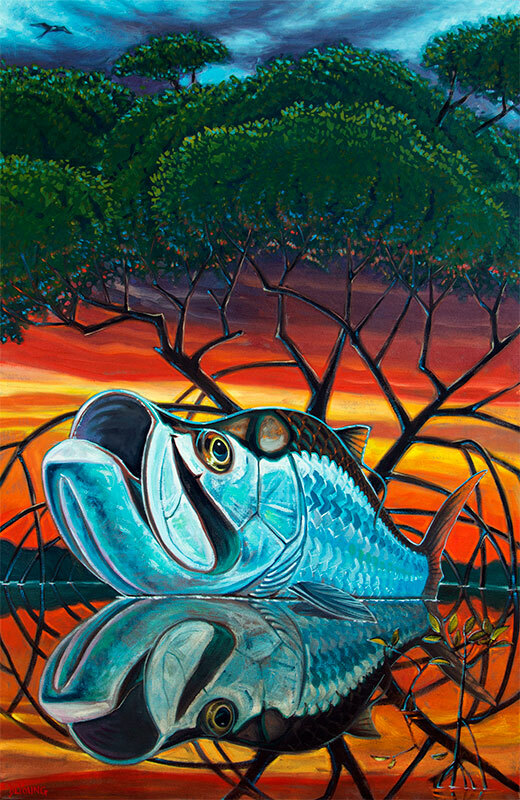 His work has veered off from the traditional fish illustration style, placing more importance on using a unique style and palette rather than painting a fish to look photo realistic. 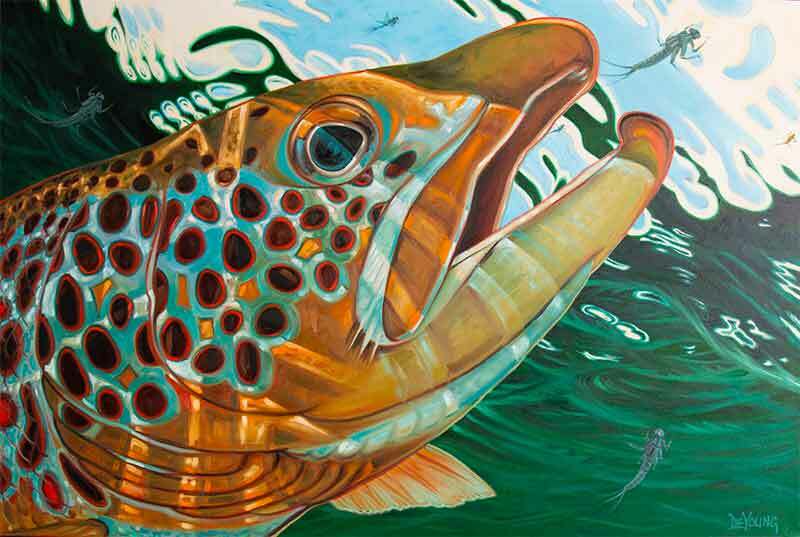 He has also collaborated with some of the industries top notch companies such as Abel Reels, Simms, Buff and Burton, so you can see his work throughout the industry on high-end fly fishing products.